Did you ever finish a project and find you feel a little sad because you truly enjoyed the process of making it? That’s how I felt when I finished my Granny Square Scrapghan (you can find the free pattern here). I really loved every step of making it … except maybe weaving in the ends. Since I loved it so much … and still have a ton of yarn scraps still left … I decided to start a new afghan. I’m switching it up this time with these little pretties and am here today to share this Cluster Burst Granny Square Pattern with you. 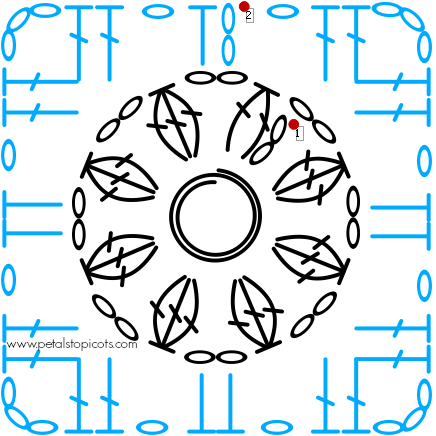 Round 1: Ch 2, work 1 2dc-cl in ring, ch 2, *work 1 3dc-cl in ring, ch 2, repeat from * 6 more times, join and fasten off CA — 8 clusters, 8 ch-sp. Round 2: Join CB in any ch-sp, ch 2 (counts as hdc), work 1 hdc in same ch-sp, ch 1, *work [2 dc, ch 3, 2 dc] in next ch-sp, ch 1, 2 hdc in next ch-sp, ch 1, rep from * twice more, work [2 dc, ch 3, 2 dc] in next ch-sp, ch 1, join and fasten off CB (don’t forget to use the invisible join method for a seamless finish) — 24 dc and 12 ch-sp. And for my crochet friends who prefer following stitch diagrams instead, I put together this cluster burst square diagram. 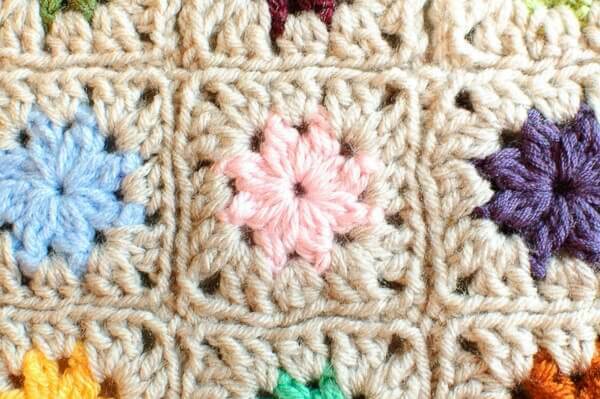 Click here to reference Crochet Stitch Symbols. So let’s get busy and make a whole stack of these babies! I know what you’re thinking … how are we going to attach all these together?!! I have you covered with this simple slip stitch join and how to lay them out to minimize lots of tails to weave in. Click here for my free tutorial. I can’t wait to see all the pretty squares and color combinations you all come up with! Feel free to share them on my Facebook page here or come join in our ongoing Scrapghan Crochet Along on Ravelry by clicking here. love love the pattern. It is easy to follow. Keep up the good work. Hi. 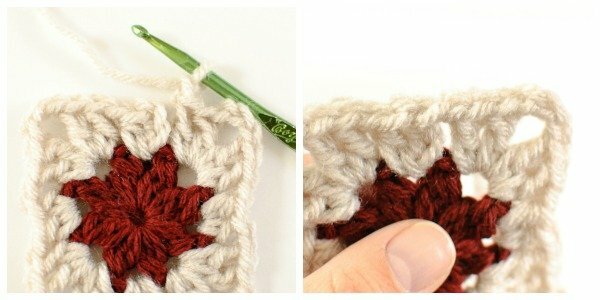 Being new to crocheting, I’m finding this a bit difficult to follow, but I would dearly love to make it. Would you consider doing a video of the square? I am a visual learner and I would so love to see this. It’s a really beautiful design. Thank you, I will be attempting this pattern. I love your instructions and diagrams. It is the only way that I can crochet. I used to do magic crochet patterns. Written directions can be difficult to follow, especially the more complicated patterns. I was looking for a project. Thank you..
Chain 4 was NOT enough for the alternate to the magic ring. I suggest a ch 6 ring. I could only get 6 clusters in the chain 4 circle. 🙂 Other than that, VERY CUTE! Love it!